Team Lawrence, listen up: Just a day after finding out one of Insecure’s most popular characters may not return in the upcoming season, the Lawrence Hive may find a new hero. According to Insecure’s showrunner Prentice Penny, Daniel, played by Y’Ian Noel, will have a larger presence in the new season of the hit HBO comedy. While Issa (Issa Rae) and Daniel’s relationship was very complicated at the end of season 2, Noel said he can relate to the character, who’s become a favorite among fans. Noel, who more recently starred in The First Purge, said playing Daniel has “forced [him] to have that self-examination” before stepping into the character so he can get it right. So far it’s working. Last season, Issa rekindled her relationship with Daniel, only to end it shortly thereafter. Still, when she had to move out of her apartment because she could no longer afford the rent, she turned to her old friend for help. In the upcoming season, we’ll see how the pair navigates this new moment in their friendship and if their relationship will survive. Also in the new season, fans will get to watch yet another show within the show. Thus far, Insecure has included two fictionalized series within the comedy, “Conjugal Visits” and “Due North,” and it will roll out a third, more topical one in season three. Penny said this latest iteration will comment on what’s going on in the entertainment business. “It’s definitely timely in the wake of a lot of things that happened in Hollywood in the last month or so,” he said. 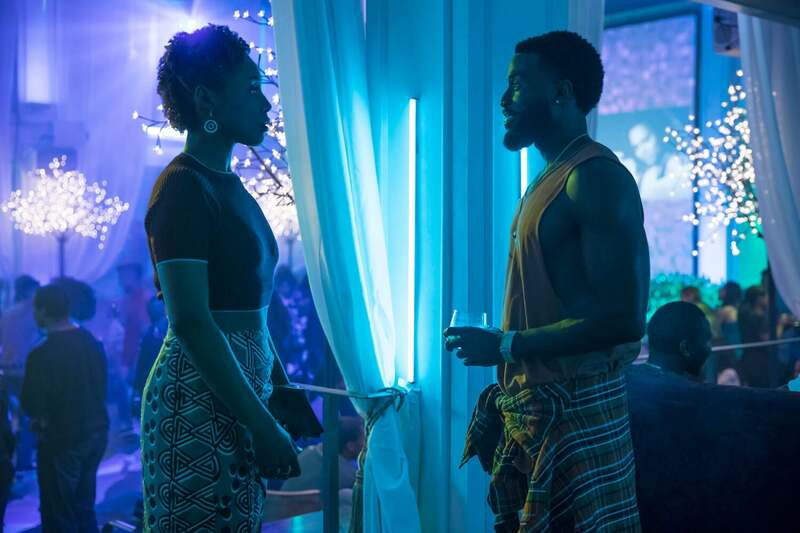 Previously, Rae hinted that the new season of Insecure may deal with themes of toxic masculinity, but most of all it’s about the characters finally getting their lives together. Guess we’ll have to wait until August 12 when Insecure returns to HBO to see how it all plays out.